Our aim is to provide the best quality health care to our clients in a friendly and pleasant atmosphere. For appointments please contact our reception staff on 9699 4333. Online appointments with our general practitioner, psychologist, podiatrist or dietitian can be made by clicking on the “Online Bookings” icon. This service is available 24 hours a day subject to availability. Online bookings can also be made from the HotDoc smart phone app, which is available on the Apple App Store. After downloading the app please register and nominate Armstrong Street Medical Centre as your general practice and allow notification so that you can receive SMS appointment reminders and notifications. 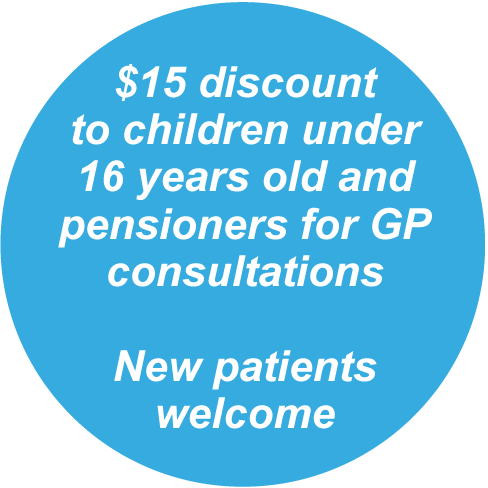 For phone bookings, please call the clinic on 9699 4333 to make an appointment. It is essential that the doctor is provided with your accurate and up to date personal health information in order to provide you with personalised health care advice. For an initial appointment it is recommended that new patients arrive at least ten minutes prior to the booked appointment time in order to register and complete a personal health information questionnaire. Standard appointments are booked at 15 minutes intervals. This will usually be adequate to deal with a single health issue. When attending for an appointment, please advise the reception staff on your arrival. Patients can request their preferred doctor. We do accommodate for walk-in patients subject to availability. Priority appointments will always be provided for emergencies, sick children and same day urgent reviews. Emergencies do arise from time to time, and these will be given priority. If your condition is of an urgent matter, please notify the reception staff on your arrival. Longer appointments are required for more than one medical problem, complex problems, women’s health checks, surgical procedures, full health checks, mental health sessions and initial antenatal visits. If you anticipate that a longer consultation is required, please advise our reception staff at the time of making an appointment. Our doctors can provide travel advice. It is recommended that you attend two months prior to travel to determine whether travel vaccinations are required, to plan the vaccination administration intervals and to discuss your travel needs. At this consultation it is requested that you provide a list of your previous vaccinations including the date of administration, and the travel itinerary including the list of places to be visited and the length of time in each destination. The practice stocks and can provide travel vaccinations, and is an accredited Yellow Fever vaccination clinic. Appointments for childhood immunisations are booked during sessions that the practice nurse is available to assist the doctor. Please notify the reception staff at the time of making the appointment that the booking is for a childhood vaccination so that this can be scheduled. All patients receiving immunisations should be aware that it is recommended that they remain for observation at least 15 minutes after the immunisation is administered. Flu vaccines are provided free by the government for eligible patients. Otherwise, the practice can provide flu vaccinations to patients for a private fee subject to availability. Medical examinations and reports for insurance and employment purposes require longer appointments depending on their complexity. The costs of these reports are not covered by Medicare and a private fee will apply, depending on the complexity and length of time required to complete the report. A general practitioner working at the practice is available to provide after hours care to registered patients who attend the practice. This service attracts a private fee. The doctor can be contacted by calling 9699 4333. For emergency after hours care, call the ambulance on “000’ or attend the nearest Emergency Department. The practice can perform 24 hour blood pressure monitoring when requested by one of our doctors. For details of this service please ask your doctor. Medical Emergencies, particularly those that are life threatening, are best dealt with by the Emergency Services, and if you are in doubt it is advisable to contact “000” and ask for an ambulance to attend. The nearest Emergency Department to the clinic is The Alfred Hospital located at Commercial Road Melbourne, phone number 9276 3405. 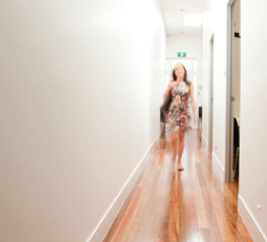 Home and residential aged care facility visits can be provided by appointment within normal opening hours. This facility is available for regular registered patients who are located within 2 km from the practice, and who are too unwell to attend the practice, or have disabilities with impaired mobility or special needs. We request that any request for a home visit be made early in the day. A practice general practitioner is available for regular registered patients of the practice who require after hours care, by calling the practice on 9699 4333. Initial appointments and standard appointments with the dietitian and diabetic educator are for 60 minute sessions. Initial appointments and standard appointments with the psychologist are for 50 minute sessions. In certain circumstances, such as gynaecological examinations, immunisations or surgical procedures, the practice nurse may be required by the doctor to assist during the consultation. It is recommended that in these circumstances, that you advise the receptionist of this at the time of making the booking, so that an appropriate appointment time can be booked for you with both the doctor and the practice nurse. Our practice nurses have their own appointment book so that they can undertake blood tests, dressings, immunisations and chronic disease management activities in conjunction with the doctors. It is requested that general practice appointments be cancelled at least two working hours prior to the appointment by calling the clinic on 9699 4333. General practice appointments cancelled within two hours, or failure to attend an appointment will incur a cancellation fee of $80. Cancellation of appointments before 10 am Monday to Friday and 11am Saturdays are required on the previous working day or a cancellation fee will apply. This applies to both phone and online bookings. Both mental health sessions with Dr Zappia, and appointments with dietitian and diabetic educator Ms Dalija Jovanovic, require at least 48 hours’ notice. Cancellations within 24 hours, or failure to attend an appointment, will incur a cancellation fee of $80. A cancellation fee of $40 applies if only 48 hours’ notice is provided. This applies to both phone and online bookings. Consultations with psychologist Kate Cain require at least 48 hours’ notice if cancelling or postponing an appointment, otherwise patients will be charged the cost for the session.